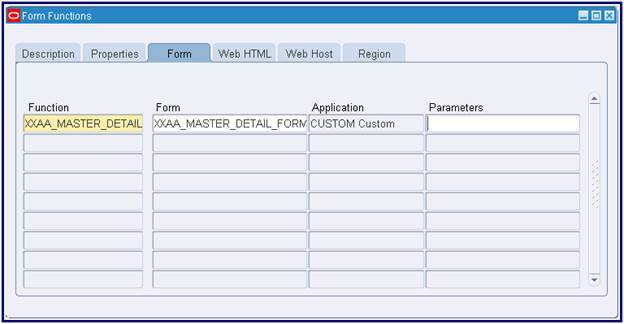 à Download Template.fmb & Appstand.fmb into our local machine from /v02/oracle/apps/apps/apps_st/appl/au/12.0.0/forms/US ($AU_TOP/forms/US) using winSCP tool. 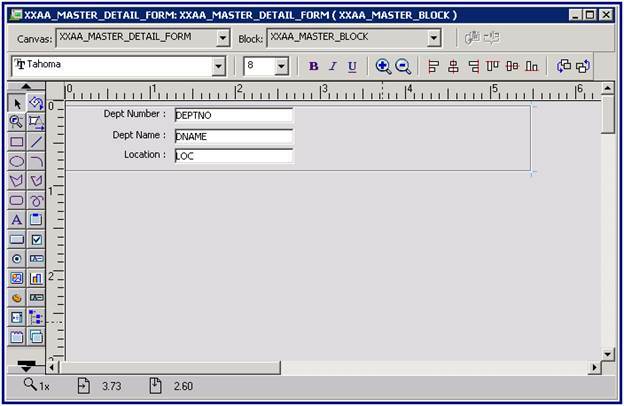 à Open the TEMPLATE.fmb using form builder. 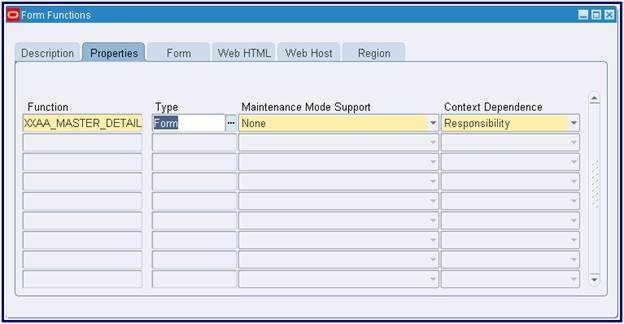 à Change the module name to your required form name. 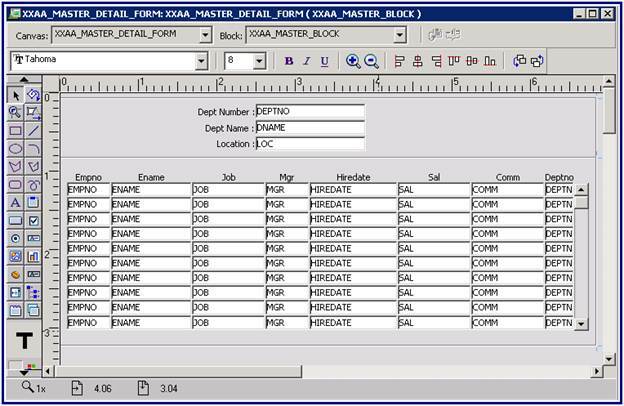 à GoTo File àSaveAs the form as same as the module name (i.e Form name & module name should be the same). 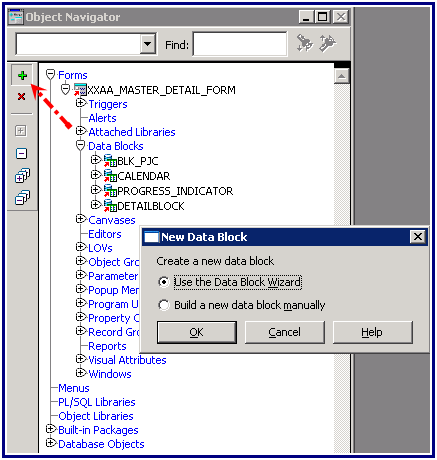 à Delete the default blocks, windows, canvases (ex: BLOCKNAME). 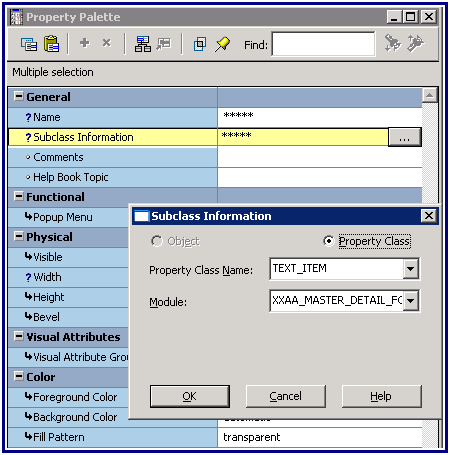 à Create a window and assign window property class to windows. 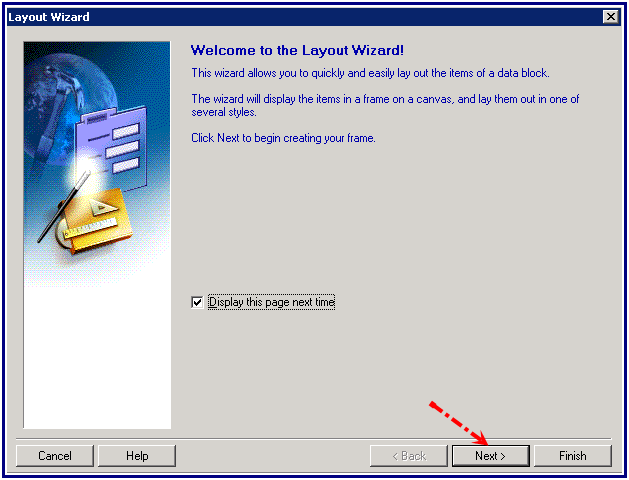 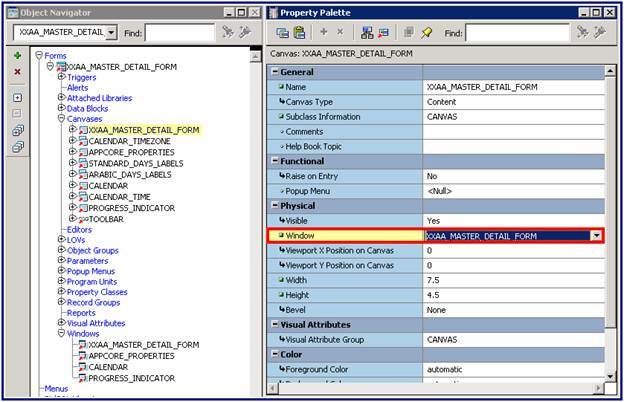 à Create a canvas assign the canvas property class to Canvas. 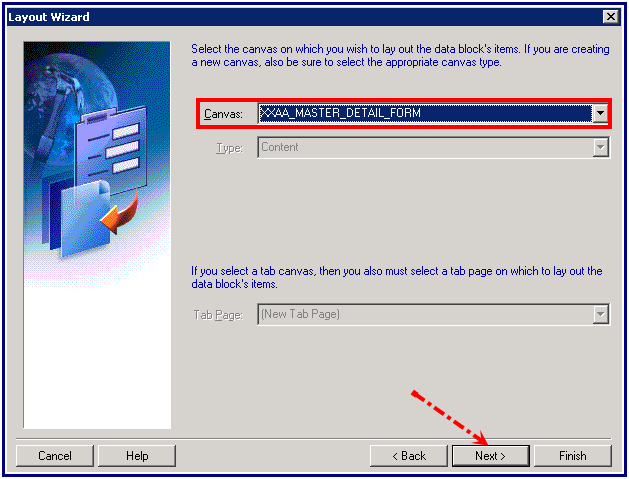 à Assign canvas to window. 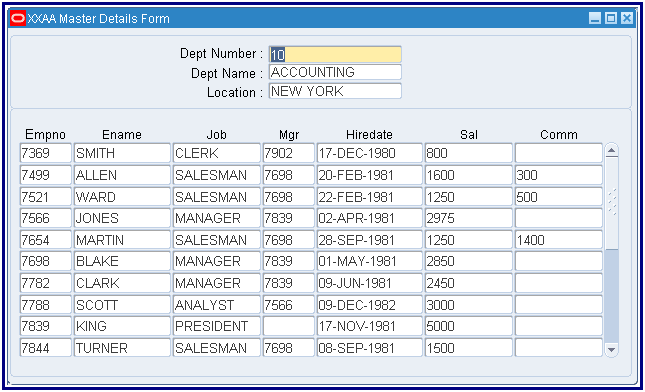 à Select the form for we can arrange the values based on the requirement. à Enter the fields size and prompt. 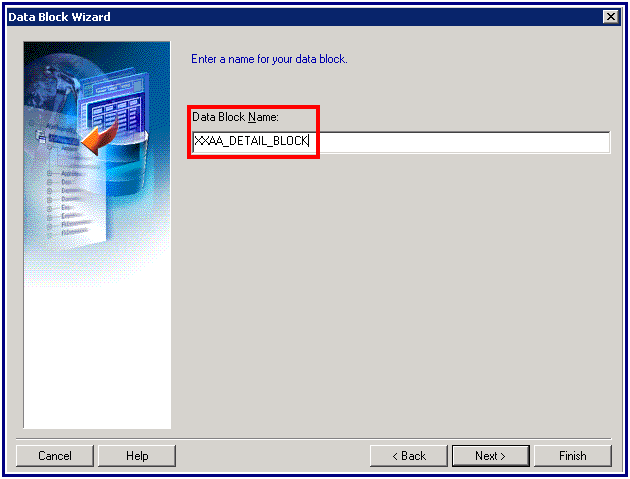 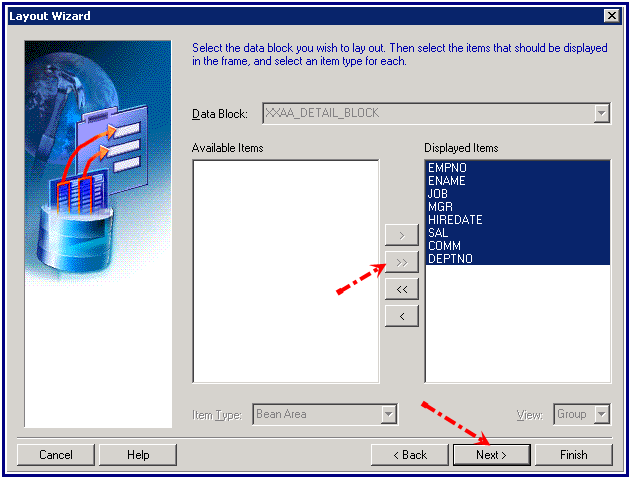 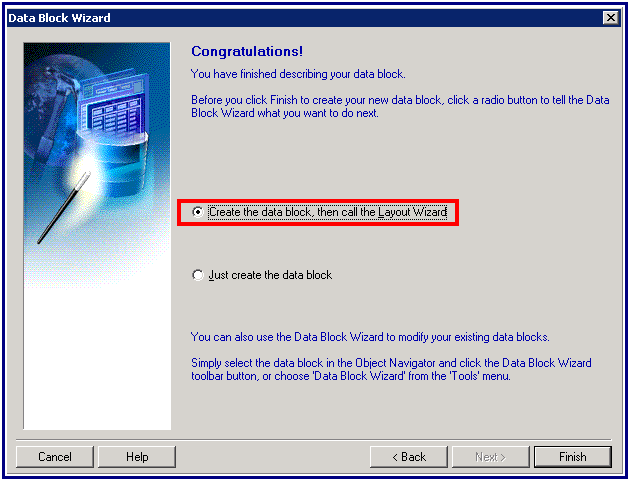 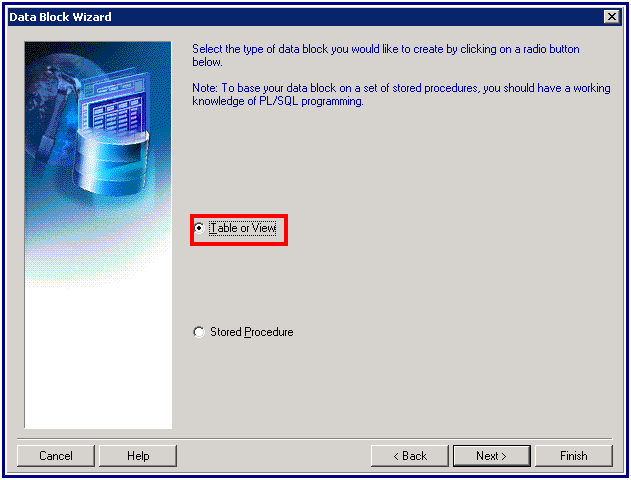 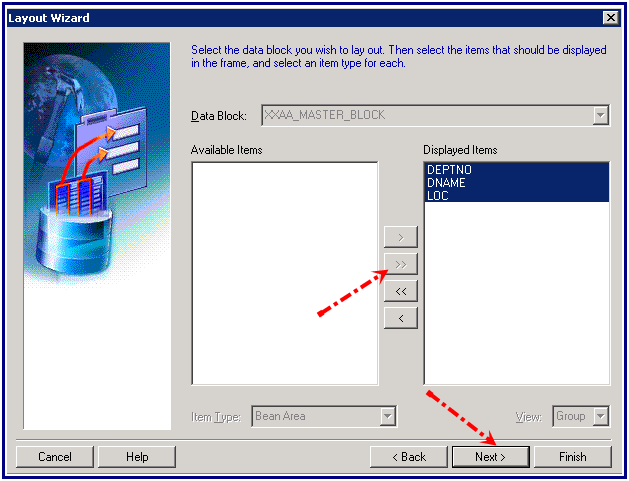 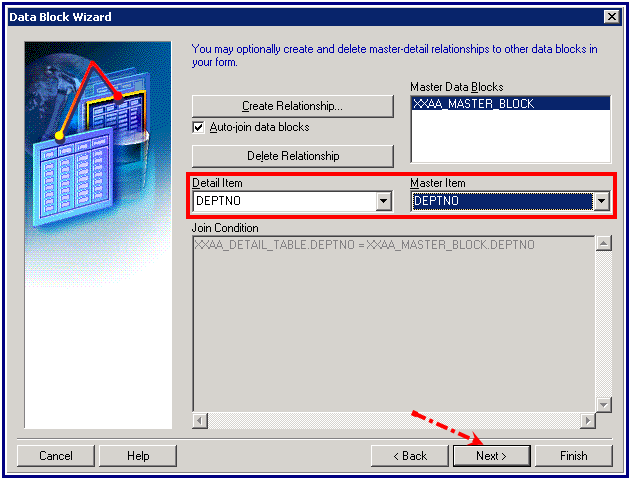 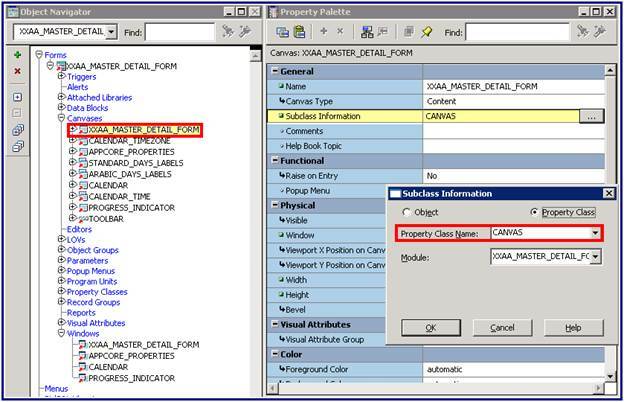 à Assign all text item property class to all items in the data block. 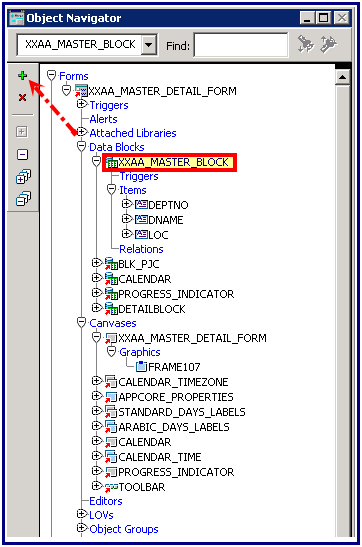 à Modify PRE_FORM trigger at the form level. 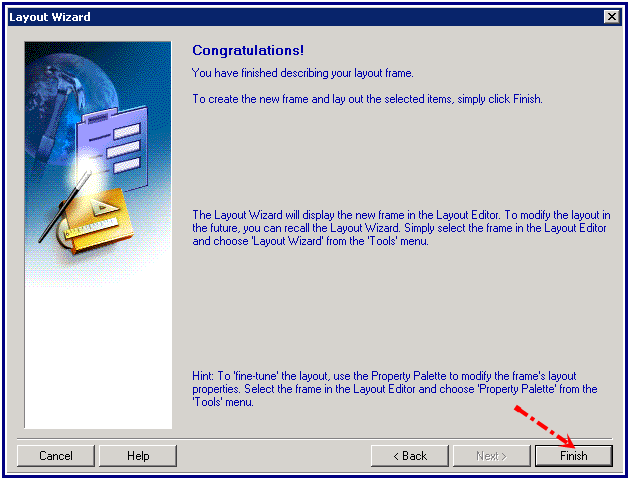 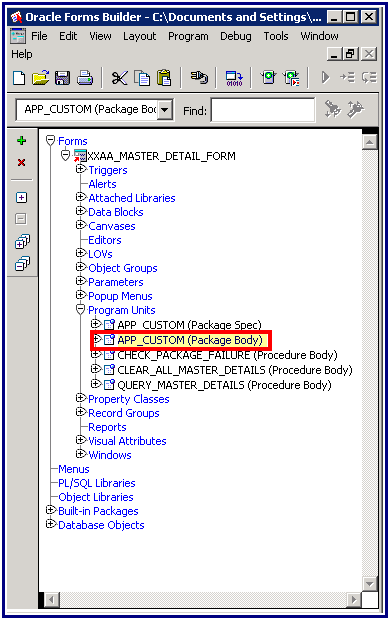 à Modify the app_custom package Body in the program unit. 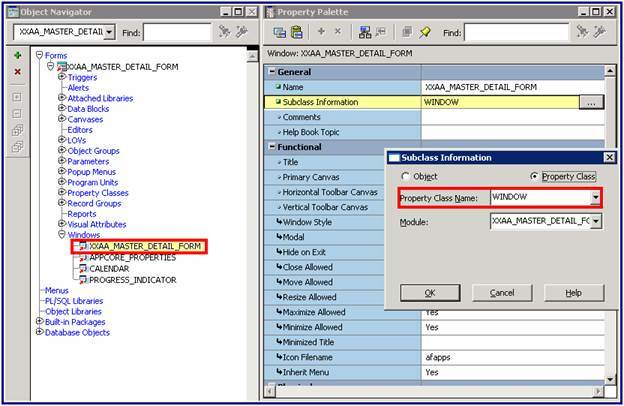 à Modify the module level properties . 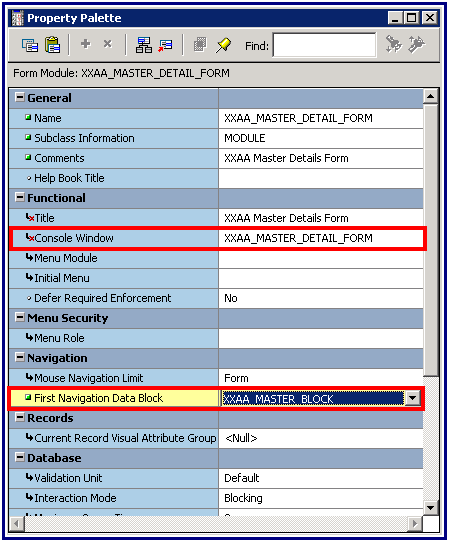 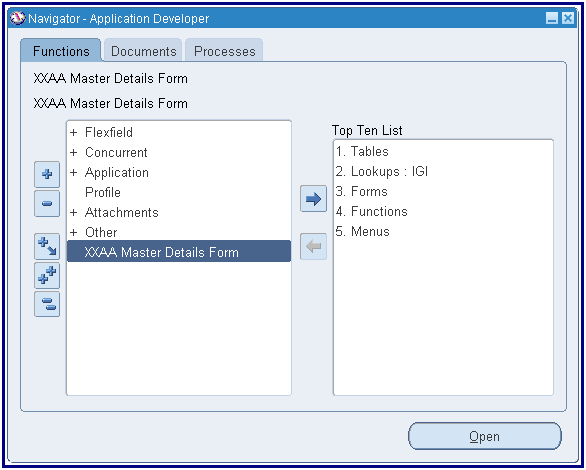 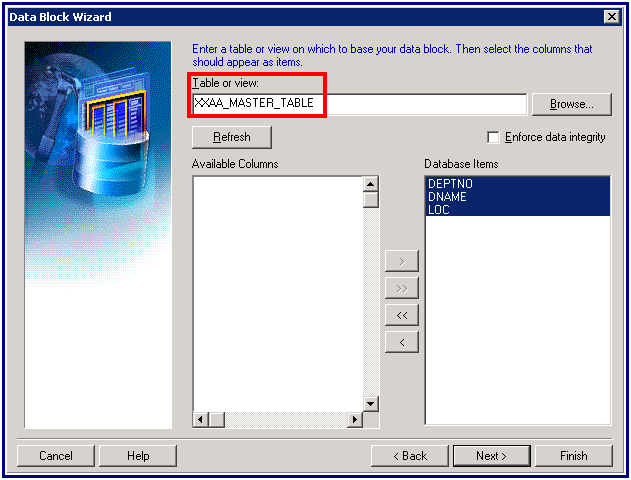 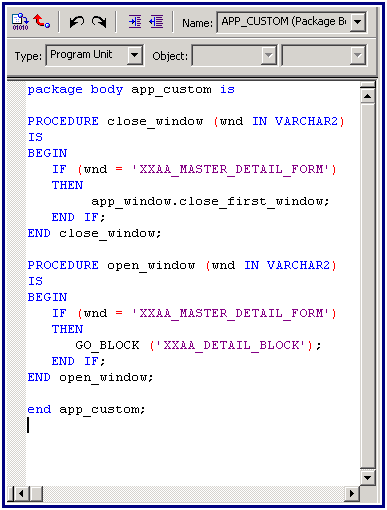 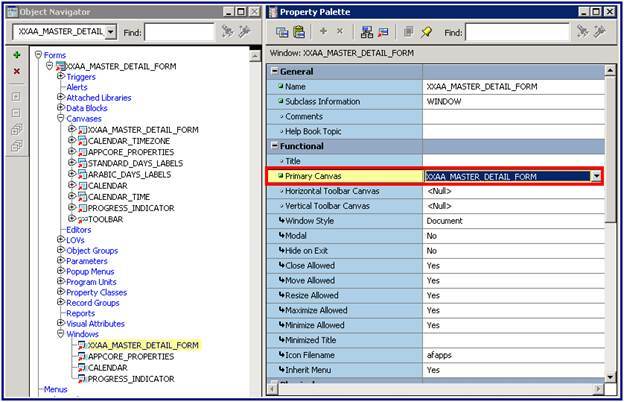 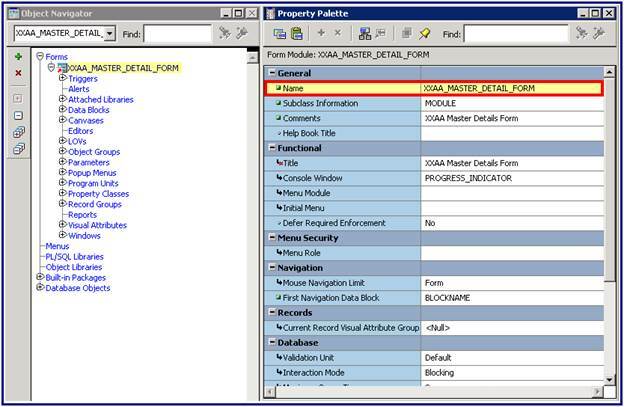 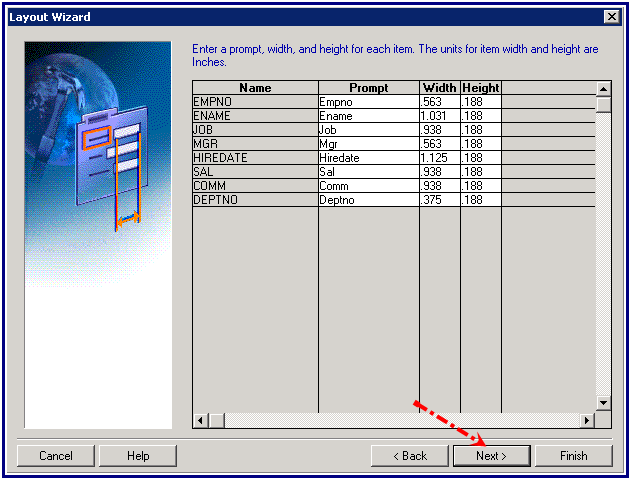 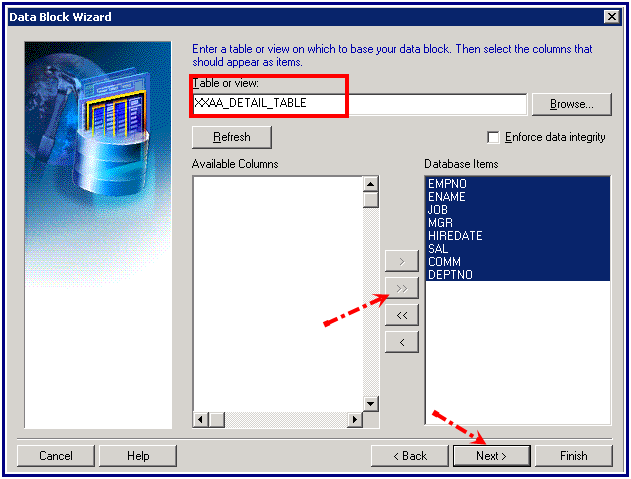 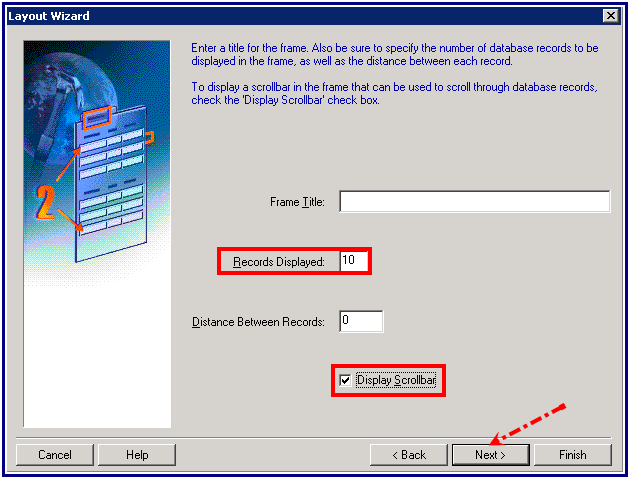 Consol window: give your window name.(XXAA_MASTER_DETAIL_FORM). First_navigation data block : your block_name(XXAA_MASTER_BLOCK). 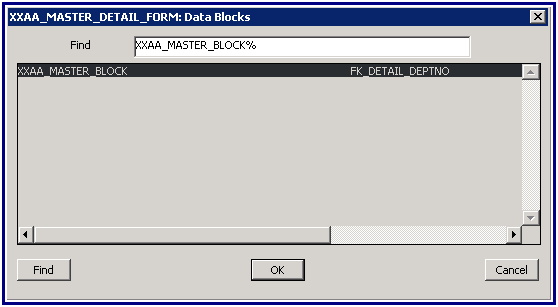 à Save and compile the form(.fmb). 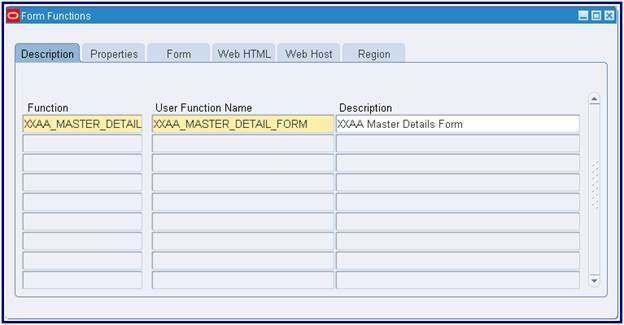 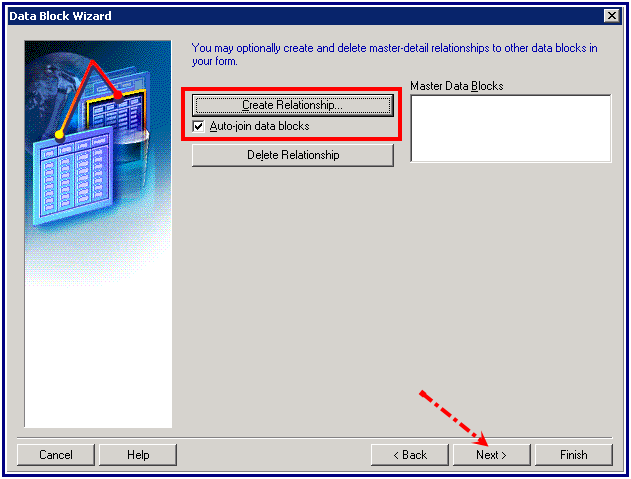 à Move the form(XXAA_MASTER_DETAIL_FORM.fmb) to the $AU_ TOP/forms/US using WINSCP. 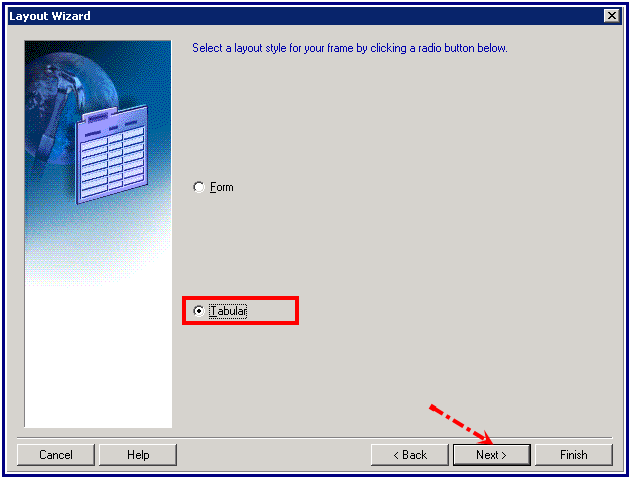 à Compile the forms in the $AU_TOP/forms/US by frmcmp command using WINSCP. 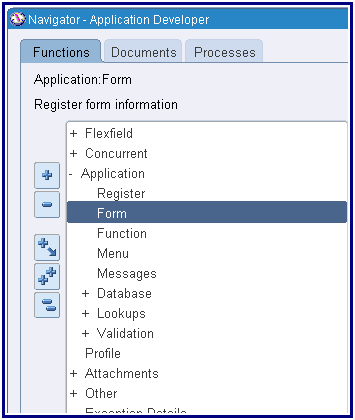 à Now open the apps front-end and open the Forms Form in below Navigation. 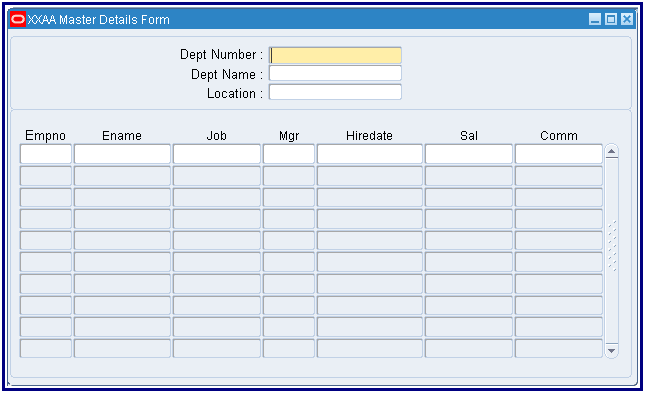 à Query the menu and attach the Form function to the Menu. 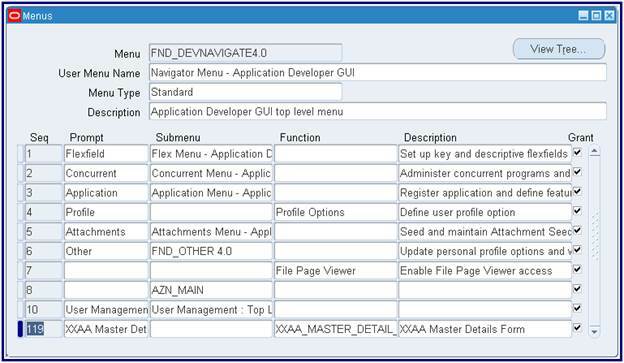 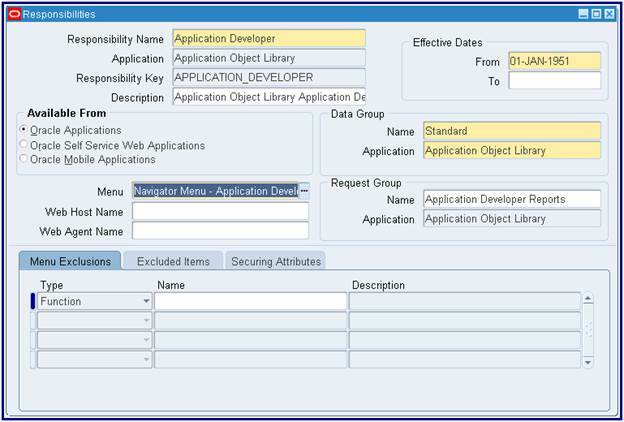 à This Menu ‘FND_DEVNAVIGATE4.0 (User Menu Name : Navigator Menu - Application Developer GUI)’ is attached to ‘Application Developer’ Responsibility.